Notes: Carol made this great A-line coat for her daughter who lives in DC. 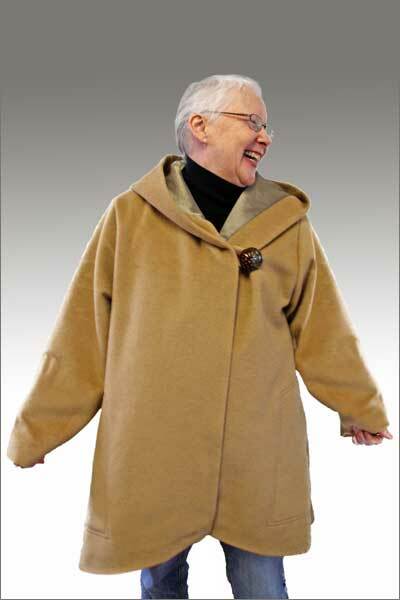 Although the pattern called for a full-length coat, Carol shortened it at her daughter's request. 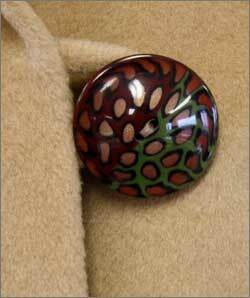 The spectacular button and loop closing replaced the original snap buckle strap closures. 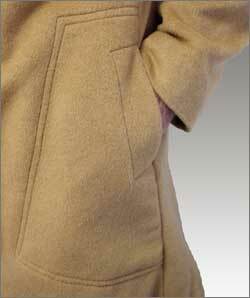 Also although the original was unlined, Carol chose to line the coat. She added a bias-cut, printed silk band around the lining hem, adding zip to the project and turning it into something extra special. 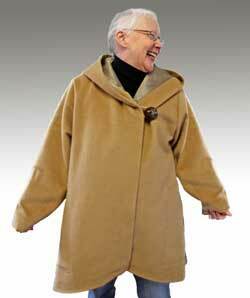 We know Carol's daughter will love wearing this coat for years to come.